Nothing compares with a mother's breastmilk to help her baby grow and develop - but mum can't always be there. 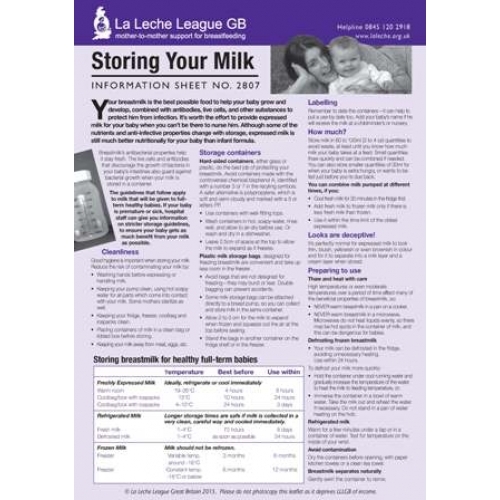 Storing Your Milk includes comprehensive information on the storage and handling of expressed breastmilk for healthy full-term babies. 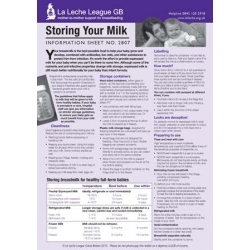 Includes tips on hygiene and how to preserve breastmilk's nutritional and anti-infective qualities.